As a responsible Road Haulage Company we are aware that the very nature of our business will have some negative impact on the environment. It is our responsibility to minimise and wherever possible, mitigate any such impact. In pursuit of this goal we are continually looking at ways to maintain and improve our environmental practices and sustainability in all areas of our business. 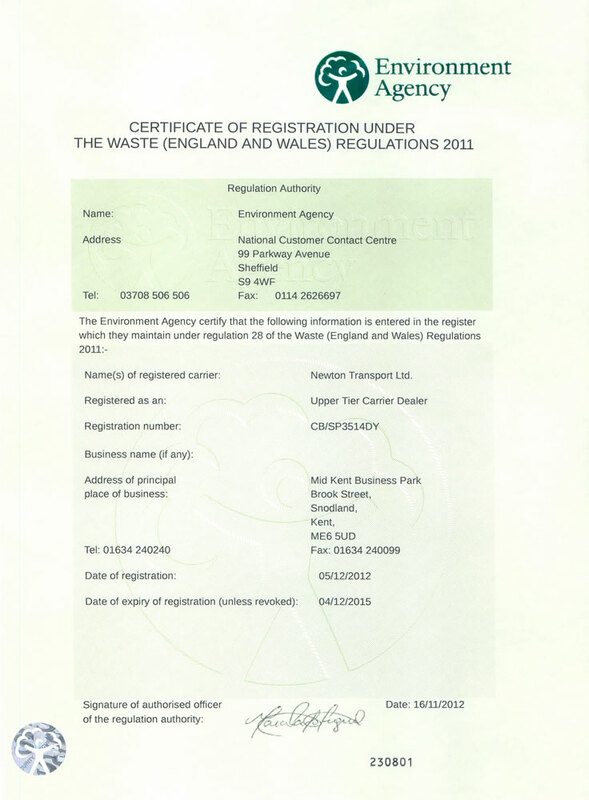 At Newton Transport we believe that environmental responsibility is both a moral and a business imperative. Helping to maintain and sustain the environment is an essential way to maintain and sustain our business. To minimise our consumption of materials; Fuel, Water, Energy. Recycle where possible, and to engage suppliers who do the same. Run a fleet of modern, fuel-efficient vehicles. Ensure that our fleet is equipped with exhaust systems designed to minimise CO2 emissions in compliance with the EC’s most stringent rules on vehicle emissions. Use up-to-the-minute tracking and traffic management systems to reduce fuel consumption and noise pollution. Maintain our fleet regularly to the highest standard. Ensure driver training and awareness specifically to improve fuel consumption and safe driving. Educate and promote environmental awareness within the whole company. Wherever possible to source materials locally. Manage and dispose of all waste responsibly. Through training and the dissemination of information to maintain an ethos of environmental responsibility. The Newton family have been operating successfully in the road haulage industry in the South East for three generations. We believe in ethical practice in all aspects of our business; our clients, our employees, our suppliers, the local community, the community at large. To engage with the local community supporting charities and schools. To work closely with our customers, to understand their business needs and to find solutions. To offer expertise and a friendly first class service. To minimise any negative impact on the environment. To source materials responsibly and wherever possible locally. To be a good employer by creating a happy, healthy work environment for all of our staff.